I stumbled on the social media, across a post by Barr.Ata Ikiddeh Ikiddeh, former Special Assistant to the former Governor on Projects Monitoring. 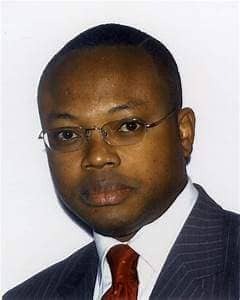 A lot of people may not know that Ata is a lawyer by training, and his mates in the Nigeria Law School include the likes of Senator Godswill Akpabio, Senator Liyel Imoke, former Secretary to the Government of the Federation, Anyim Anyim, Senat or Grace Bent, former Deputy Speaker, House of Representatives, Hon. Chibudum Nwuche, among other notable Nigerians. It is unfortunate that someone with such a rich background could be the same person with an irreparable penchant and desperation for media consultancy. I dare to ask, was Ata a media journalism communication at the Nigerian Law School? If not, why is he not practicing what he was called to bar for? So what are all these allegations and counter accusations of media consultancy and desperation to be engaged in the Governor’s media team? I am not against someone being engaged to work in government, neither am I saying he is wrong to propose to work and get paid by government as a media consultant, but one thing I am strongly against, is the idea of displaying such arrogance and desperate antics, "if I am not engaged, then the media team is not working." If my boss, the governor engages Ata to work in his media team, I will work with him, but if that is not done, he should quietly go on with his life at his present port of call. Ata could have quietly gone to Mr Nsima Ekere and do whatever he is paid to do, but using the same breath to run down the Governor or his team, means he wants me to tell him enough is enough. A professional media guy will not go on the social media to attack a media team, simply because his offer was not accepted, or approved. If it was is his original profession, will Ikiddeh write against a legal team simply because he was not allowed to join as defense or prosecution counsel? I have written these lines to encourage our people to learn to get a life outside pulling others down. I believe if Ata was as good a media man as he makes people believe, His Excellency former Governor Akpabio, his former classmate, would have wasted no time in appointing him as a media aide. However after much pressure, he was sent to the project team of the government. It is not a very good lesson in this #Dakkada period for one to dissipate his energy over his failure to be engaged or accepted immediately into a team.